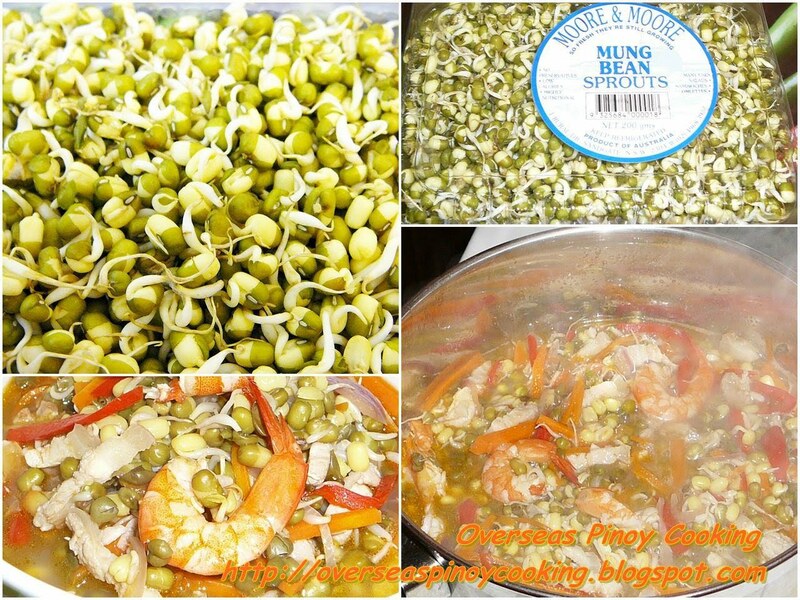 Sautéed Mung Bean Sprouts. The mung bean sprouts I used on this recipe are not the usual fully grown bean sprouts (togue) instead the mung bean sprouts are only starting to germinate, the mung bean root are just about 1/4” in size and most of the bean skin is still intact. 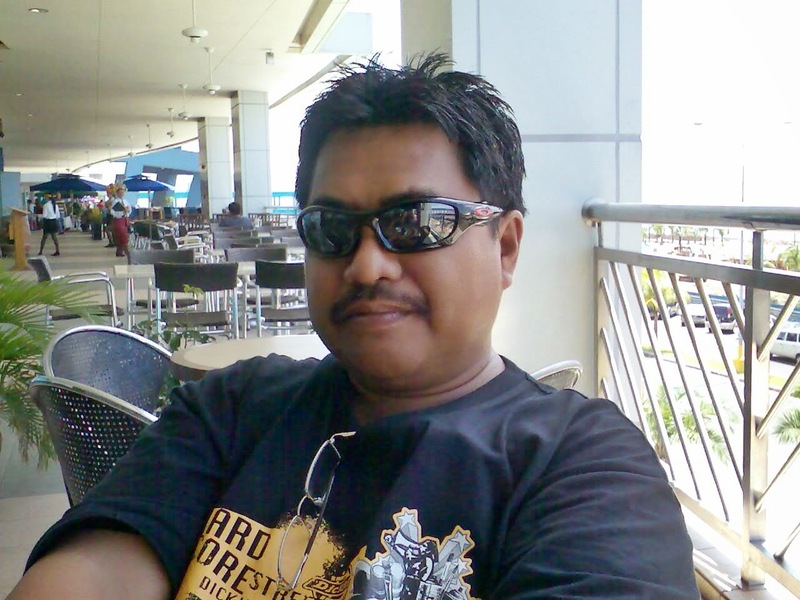 It is a similar the half grown togue sold in Metro Manila. They are available in most supermarket here in Australia, I think they are eaten as fresh as green salads. They come in small packages. I wanted to try to cook it the usual guinisang togue and determine if it can be used as substitute to the oversize bean sprouts that are also available here. The resultant dish as expected is comparable to the half grown togue. It needs to be cook a little bit longer though and have to make do with all those extra green skin which is good because they are vegetable fiber that is needed on for digestion. 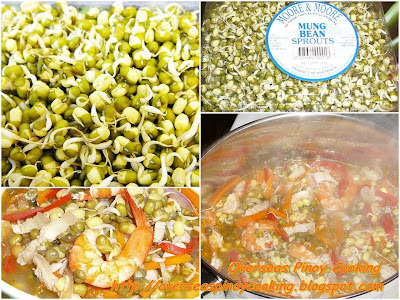 For the information of those who are not familiar there are two kind of togue used in Pinoy cooking the usual full grown bean sprout and the half grown bean sprouts. The photo below is the half grown bean spout, compared with the beansprout available they look cleaner with out the green skin. I wonder how growers able to separate the skins from the sprouts. Remove head, peel off shell and tail of each shrimp set aside. Place head shell and tail of shrimp in a blender, add 1 cup of warm water and blitz. Pass thru a sieve to separate the shells from the juice. Set aside shrimp juice. In a sauce pan heat cooking oil, add in the pork and stir cook for 2 to 3 minutes or until golden brown remove from pan and set aside. Using the same pan, discard excess oil, sauté garlic, onion and tomato. Add in shrimp, stir cook for a minute then add in the pork, fish sauce and shrimp juice, let boil and simmer for 2 to 3 minutes. Add in the mung bean sprouts and simmer for another 3 to 5 minutes. Now add the carrots and bell pepper and cook for another 1 to 2 minutes or until the carrots and bell peppers are just half cooked, correct saltiness if required. Serve. I usually encounter togue only in fresh lumpia. I wonder if there is difference in the nutritional content between the beans and the sprouts... or is it just taste? I read somewhere that the protein in the beans are converted into Vitamins, thanks for the visit Watson.